Join us on Thursday August 8th at 1:00 pm in the Entertainment Center as we honor the Century (100 year old) and Sesquicentennial (150 year old) farms in Carver County. Program brought to you by Farm Bureau. To apply, visit the Minnesota Farm Bureau site or talk to your agent. 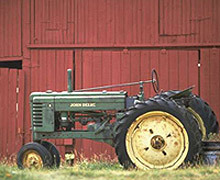 The farm must be at least 100 years old this year according to abstract of title, land patent, original deed, county land records, court file in registration proceedings, or other authentic land records. Your family must have owned the farm for 100 years or more. “Family” is defined as parents, grandparents, aunts, uncles, brothers, sisters, sons, daughters, first cousins and direct in-laws (father, mother, brother, sister, daughter, son-in-law). Continuous residence on farm is not required, but ownership must be continuous. 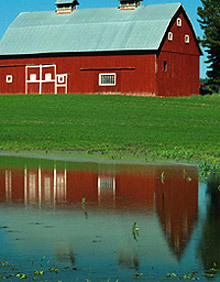 The farm should consist of 50 or more acres, and currently be involved in agricultural production. All of the qualifications must be met at the time an application is submitted. The Century Farm status is only conferred on a farm one time. New owners from the same “family,” after a farm has already been designated a Century Farm, may not reapply or request a new certificate. The State Fair and the Minnesota Farm Bureau thank you for your interest in the Century Farm program. 2007 Randall Wroge Norwood ?